The Marie Celeste at Leven: still light but getting late. I never thought I had a problem with sleep – or should I say its lack. I’ve ridden a fair few overnight rides, and spent about 6 years chronically sleep deprived as a parent. On 400 km audaxes I often feel a little sleepy around dawn, and I managed my first 600 on just one hour. 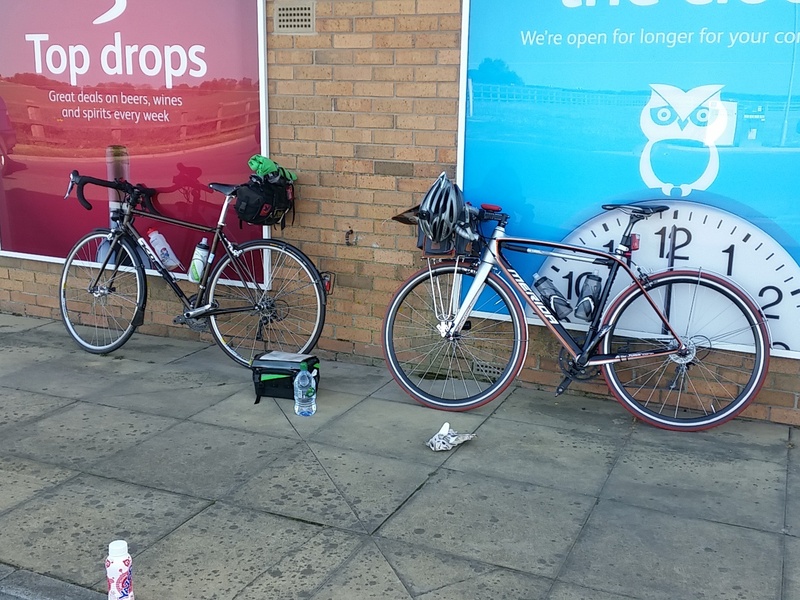 I had planned for about 2-3 hours on that one, and although I became a little anxious when my plans unravelled I felt pretty awake for most of the ride (despite audax fury trying to find a working cashpoint as proof of passage in the night). On my most recent 400 all that changed. For most of the night section of the “Not Quite the Spurn Head 400” I struggled to ward off drowsiness for much of the second leg. I was riding with Ella and having sparky company certainly helped, as did the first caffeine gel* I consumed late evening during a bad patch for both of us on the way to the Goole McDonald’s control (more on that experience later). The second gel** about four hours later (once my McDonald’s coke had worn off) just sent me into nausea. The final hilly section after the last control (uneaten lemon tart and large tea) saw the elastic finally broken as I stopped to remove all my night clothing in an attempt to wake up in the damp morning breeze – a process that had just about finished when I reached the Arrivée. I caught Ella halfway there and we rode together again through Elland (LOL) but I really struggled to maintain any speed downhill or on the flat. We were pretty well-matched on average but my tiredness had eventually destroyed any ability I had to work together effectively. I have been working too hard and hadn’t slept well before the ride (I did have an extra two hours during the day before but that clearly couldn’t make up for weeks of stress and poor sleep hygiene). 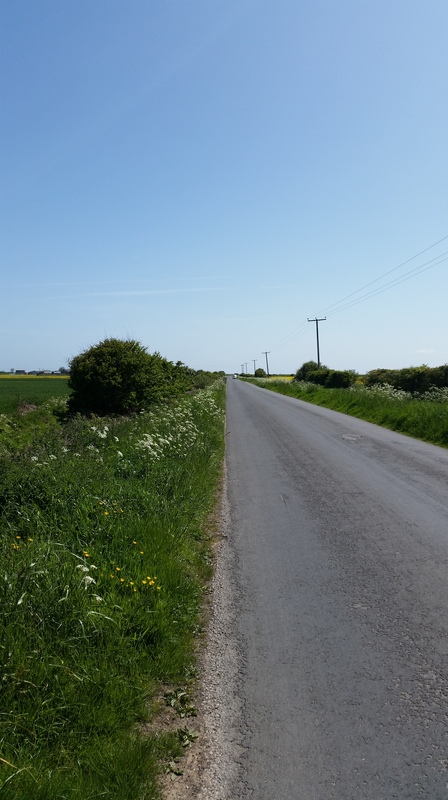 I wasn’t stressed enough on the ride: no punctures; no navigational/mechanical issues; good company; fine weather. I was relaxed to an extent that is unusual for me. There were many magical moments in the night. Meeting riders on the Flatlands 600 in Goole both at the control and on the road was the highlight. The interior of a McDonald’s filled with 30-40 sleep-deprived cyclists; the approaching headlights on the Old Goole Road: a confusing and surprising entertainment on what can be a pretty low point at around 300 km. 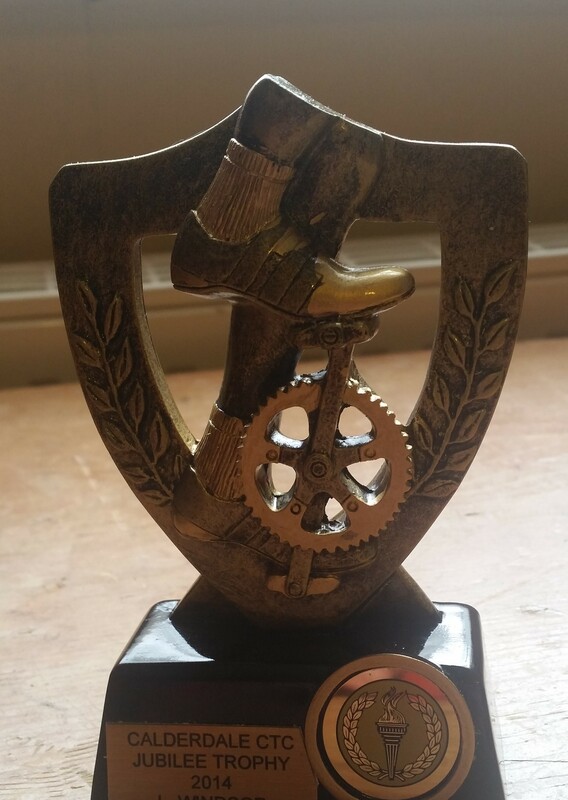 Another was the surprise trophy (from 2014) I was presented with by Chris Crossland (organiser and audax supremo) at the finish! The day was better though, and I missed my usual enjoyment of the night sections. 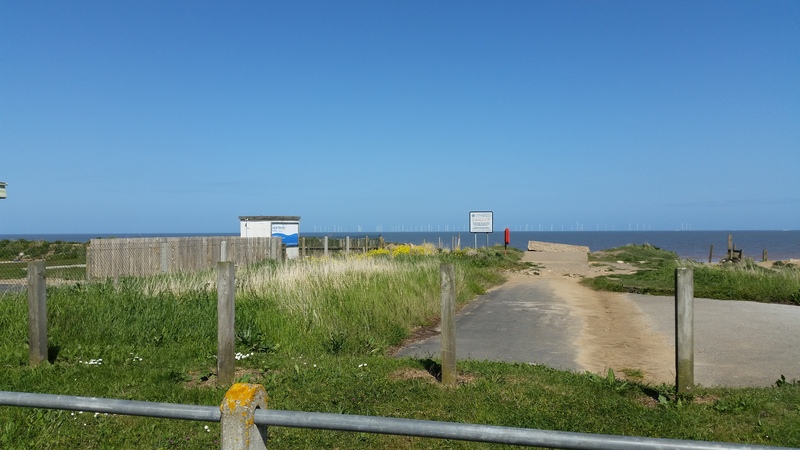 The end of the road in Spurn (note the offshore windfarm in the background, click for full size). I rode the first leg of the ride alone and the return almost entirely with Ella – my twin desires for solitude and company nicely catered for. 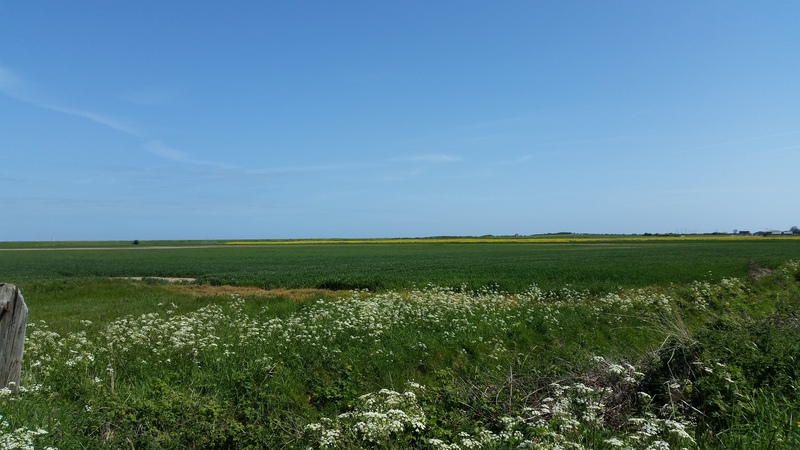 A 600 broken by a few hours sleep (I don’t ride quickly enough to sleep on a 400) is easier to manage in my limited experience, so I am now looking forward to visiting two coasts on the East and West Coasts 600 in late June. It is the third time I have completed this ride, and each time I was nearly defeated: once by navigation, once by weather, and finally by lack of sleep. This entry was posted in audax, cycling, doping, health, randonnée, randonneur, ride reports by spandelles. Bookmark the permalink.